Upon move-in the apartment will have active electricity and/or gas service. The office will have template forms for residents to complete in order to transfer the elec/gas service into their name. The local utility provider is PG&E (Pacific Gas & Electric). To make changes to your account, residents can login online or call PG&E directly. Residents will need to set up their own internet service for their apartment. All apartment units will have a phone/DSL line installed. Not all apartments have co-axial/cable hookups (for Comcast service) so our office recommends using DSL service provided by LMI.net or Sonic.net to ensure that the apartment will have a stable internet connection. Cable service (Comcast) may be available at certain buildings but is not guaranteed. North Berkeley Properties does not wire or maintain any cable/co-axial wires for Comcast service. New Comcast customers may be able to qualify for free installation and will need to contact Comcast customer service for additional information. North Berkeley Properties will note that some residents have experienced account / service quality issues with Comcast. The local Comcast office (1936 University Ave) may also have long customer wait times during peak periods. 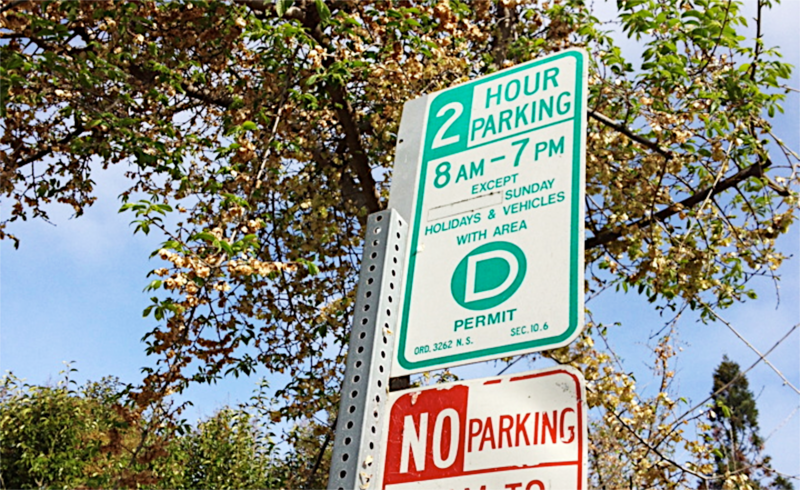 Many residential areas in Berkeley have local parking permit restrictions where parking is limited to 2-hours unless a vehicle has a residential parking permit. Residents can know if their neighborhood has residential permit parking by looking for the posted signs. Most residents of North Berkeley Properties will qualify for the City’s residential parking permit program. To purchase a 1-Day or 14-Day permit, residents will generally need to provide proof of their Berkeley address. These permits are generally used for short-term parking or guests/visitors. Residents can use a copy of their apartment lease agreement or any utility/phone bill with their name and address on it to prove their Berkeley residence. 2. A current vehicle registration displaying their Berkeley address. The registration address for a California vehicle can be changed online at California DMV. Residents should print the online confirmation indicating that their vehicle address was changed and is now different than the address listed on the vehicle registration card. 3. Proof of Berkeley residency. Any utility bill with your name and the Berkeley address will prove this. Also, residents may use their lease agreement to prove Berkeley residency. Please contact our office if you need a copy of your lease agreement. 4. ADDITIONAL: If the vehicle is NOT registered in the name of the resident additional documentation is needed. The vehicle owner will need to provide a copy of their ID/Driver’s License and provide a signed letter indicating that you have the right to use the vehicle in Berkeley. Please note that the Customer Service Center is no longer open on Fridays and may be closed for various days of the year due to reduced staffing. Residents are advised to check online for the days and hours of service before visiting. Residents can research additional information regarding parking permits online at: City of Berkeley. Some intercom systems will require a local 510 phone number to be programmed while other intercoms can dial to any USA phone number. Please check with the office regarding your building’s intercom system. Residents with internet service through LMI or Sonic will have a 510 phone line included with their service. LMI or Sonic may allow this 510 phone number to forward to your own personal cell number. Please log-in to your account settings for this option. Residents needing a local 510 phone number may also look into Google Voice which offers a free forwarding number. Please visit Google Voice for more details. To update your intercom number please contact our office by submitting a repair request online and providing us with the phone number. To use a phone based intercom system residents answer their phone like a regular call. Once the identity of the person at the intercom is verified, residents can unlock the gate by pressing ‘6’ on their phone (‘9’ for residents of 2109 Shattuck) which will then hang up the call. © 2019 North Berkeley Properties, Inc.